There Is a large debate on the safety of medical marijuana. Many people are moving to a safer alternative to smoking which is call a vaporizer. People use the herbal vaporizer to crystallize the THC from the cannabis leaf to vapor as you pull back on the vaporizer taking a deep inhalation, holding it in, blowing it out and repeating. Vaporizers are so much safer than using a bong, joint, blunt, pipe, can or bowl. You’re filtering out more than 95% of all carcinogens and poisons. There are over 400 different chemicals in marijuana and many of them activate when combustion occurs on the cannabis flower. Vaporizers prevent combustion to the weed so it’ll never burn depending on the quality of the brand name you’re using. There are some name brand vaporizers that lead to combustion, but many are improving and resulting in good, high quality filtered vapor. Many people when smoking marijuana, want to reach the high feeling which leads to euphoria, laughter and extreme hunger. Some strands for certain brain chemistry can create negative effects which is sleepiness, laziness, insomnia, dizziness, anxiety and panic attacks. Thoughts and feelings are only experienced in the users head as the person can have a nervous break down if he or she is the only one stoned while out in public thinking everyone knows they’re high as a kite. Overcoming fears of smokers anxiety is a psychological state of change. The person must have a positive mind set prior to inhaling the marijuana. Smoking out of a can can be extremely dangerous. Users that smoke out of aluminum cans are at risk of serious and fast acting health problems. Many users experience sore lungs, heavy breathing and black mucus, even after the first use of a can. The lighter you are using has butane fluid that burns against the can causing black residue to form around the screen you’ve made. When you are inhaling the aluminum, you’re getting carbon monoxide poison, butane poison and aluminum particles in your lungs. This poses serious risk and cancerous causing cells have increased by over 60% when you smoke weed out of a can. If you want to die fast you can smoke your marijuana out of a can. The term blunts was named from the weed culture back in the early 70’s when it is cracked down the middle taking out the tobacco and rolling the broken down weed into a spiral shape as the name “Blunts” was created. Joints and blunts are very similar. They both contain strong levels of tobacco. The papers and wraps are made out of 100% tobacco and it is the strong kind. When you look at your fingers after you smoked a joint and see how yellow they got, your lungs just received the same treatment. You should stop using blunt wraps and joints, life in the healthy lane will get worse with chronic use. Bongs and pipes can be just as hard on your health as a roll, joint or wrap. Especially out of a short pipe, you’re subject to burned particles of marijuana entering your lungs. Even though most people prefer a bong or pipe it is still dangerous as you’re activating the main chemicals that are produced when putting marijuana to the combustion point. Although some methods of bongs are safe, especially the water bongs. Although some people swear that water bongs trap some of the THC inside the water it’s definitely a better way to filter out the poisons that you inhale when using other methods. The bigger the bong, the better since the smoke has to take different stages through the pipe routes for it to reach its destination, your lungs! But it is more then likely to be a better method of administering the marijuana into your lungs than some other methods. Here is the main attraction, vaporizers. Marijuana is used and growing popularity with a vaporizer. Since there’s many new technologies with vaporizers, you can find that different ways of vaporizing your weed is present since we are in the advanced technological stages of developing better alternatives to smoking medical marijuana. Vaporizers are an old method of using marijuana. Homemade vaporizers were built from light bulbs, batteries and wires but now advanced methods have been created to where you pretty much have a unique device that can look like a walkies-talkie or cell phone to use for the vaporizer. 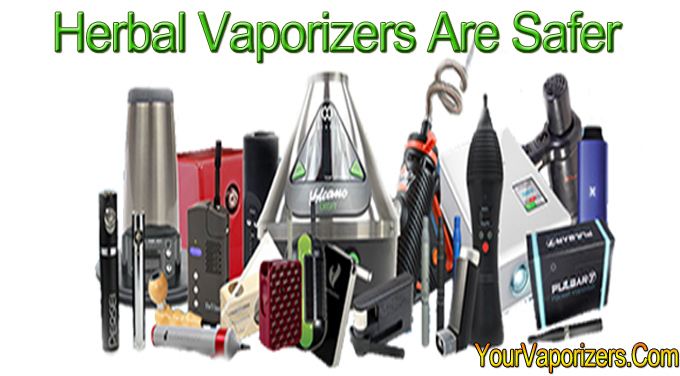 Vaporizers come in many different forms from pen vaporizers, hand held vaporizers, portable vaporizers and desktop vaporizers. There are vaporizers that are functional with materials, oils and waxes as well as multifunctional vaporizers that can do it all. There are power outlet powered vaporizers, battery powered vaporizers and butane power vaporizers which all have their advantages. Vaporizers come with CO2 Cartridges, forced air delivery methods, forced heat, and traditional methods. In case you didn’t know, most pen vaporizers are functional with oils and waxes. There are extenders for marijuana or materials that you can buy for $60 more dollars but not all pen vaporizers can function with marijuana. Pen vaporizers are hand held, functional at lasting longer from the battery life and can usually fit in a pen holder, your pocket or anywhere that has a small place for it to fit. They’re easier to travel with and look just like a regular pen. Many complaints with the pen vaporizer is it doesn’t have good filtration methods compared to the other types of vaporizers and oils can enhance cardiovascular problems quicker. The majority of portable vaporizers are functional with only herbs and are well built, strong but have lower battery levels. Unlike the length of battery lasting with pen vaporizers, portable vaporizers tend to have a shorter battery life and usually require charging more often since there are usually advanced temperature settings with cool LED display lenses and buttons to guide you. Portable vaporizers are usually morphed into something discreet to where no one will have an idea it is an herbal vaporizer. Desktop vaporizers are great relax at home units where the user can sit back at home, play video games and chill. You simply plug the vaporizer into the outlet, sit back and chill. Some desktop vaporizers come with wireless remotes to where you can have a hands free unit. There are unique desktop vaporizers where you can use balloon bags,cool mouthpieces and have different delivery methods. The best part is there are more methods to utilize with a desktop vaporizer since it is controlled with a stable power source, have bigger heating atomizers and more technology. You’ll know that many desktop vaporizers are equipped with more features, better temperature control settings and are more durable but also more expensive. Just the fact that you gain 85% more potent hits, 95% filtration of carcinogens and save way more money in the long run is the pros of vaporizers. You’re health will treat you better, you’ll feel better and you’ll notice you have more energy, clean lungs and a healthier feeling once you switch to vaporizers. People use vaporizers or electronic cigarettes to also help reduce their chances of smoking a combustion way of heating up your weed, tobacco or herbal blends & essential oils. Vaporizers are an alternative method to burning that avoids a person from inhaling nasty toxic & carcinogenic by-products. With safe parts used in creating a vaporizer such as metal, glass which are formed into unique chambers like the straight bore, sequential venturi or the venturi extraction chamber. All harmful effects are reduced significantly compared to smoking and you’re reducing many different health risks associated with smoking. We’re by no means saying all health risks are avoided using a vaporizer but we are saying we have scientific proof that it does reduce the risks of diseases, damages and cancers by inhaling vapor instead of combustion smoke. Most medical marijuana patients that use vaporizers aren’t daily smokers but need medical marijuana to reduce the side effects of many diseases that exist to make life more painful and less joyable as opposed to not having marijuana in ones system with a serious, chronic disease. Over 20% of patients use vaporizers that suffer from chronic pain, multiple sclerosis, epilepsy and HIV find life more enjoyable with the use of cannabis strictly for therapeutic purposes. 40% of patients pain is reduced when one uses marijuana. After reading all the facts and information on vaporizers, it is safe to know that you have learned the pros and cons of every method of use when smoking marijuana. You now know that it’ll benefit your health, reduce risks to your cardiovascular system and make life more enjoyable to those suffering with severe chronic diseases. It’ll be best to buy a vaporizer that costs more than $100 since the more you spend the better vaporizer you get. You don’t want to buy a crap vaporizer that leads to combustion which would defeat the purpose of vaporizing and expose you to the harmful elements of combustion. Vaporization crystallizes the THC and never burns the leaf. Most people will use the cannabis flower after the vaporizer session to make an edible as it’ll still contain a low amount of THC with the taste of a food and a weed flavor. Since you’ve read the full health benefit guide for herbal vaporizer, it is good to know that at YourVaporizers.Com you can get a high quality name brand vaporizer for the lowest price on the internet with free quick shipping and freebies attached to most vaporizers. We thought we’d add a slam dunk at the end to guide you to one of the most popular vaporizer shops in the world.